Self-affirmation is an act that involves focusing on important aspects of self, such as personal values and characteristics. The positive effects of self-affirmation have been well documented in past studies. However, less research has focused on cardiovascular responses and emotion which are affected by self-affirmation. Therefore, the present study aims to address the relationship among these variables. 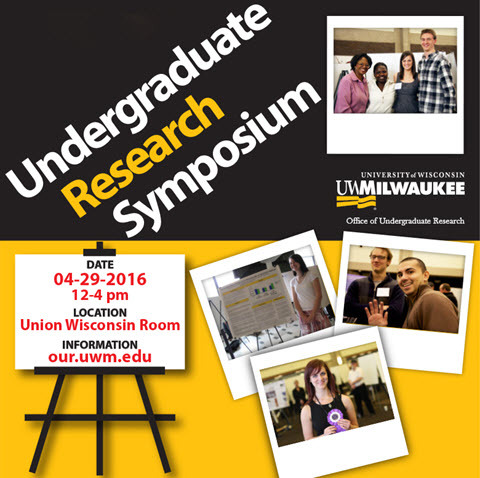 UWM students (N = 66, MAge = 22.55, SDAge = 5.18) were recruited for this study. A within-subject design, where each participant went through both the control and self-affirmation conditions (order of presentation was counter balanced) was used, in which the participants were asked to write about their top-ranked personal value. The Positive and Negative Affect Schedules (PANAS) and a self-worth questionnaire were administered after each task. In addition, participants’ physiological reactivity was measured throughout the experiment. To examine the effects of self-affirmation, repeated-measures t tests were conducted. Results showed that when self-affirmed, participants showed more positive affect, t(65) = 2.53, p = .014, higher level of self-worth, t(65) = 3.45, p = .001, and greater high frequency heart rate variability (HF-HRV), t(52) = 3.21, p = .002, reflecting more parasympathetic activity, compared to their state during the control task. These findings suggest the beneficial effects of self-affirmation on cardiovascular reactivity as well as psychological well-being and may be applicable beyond the college population.